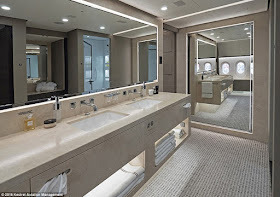 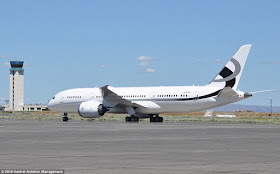 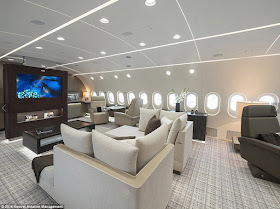 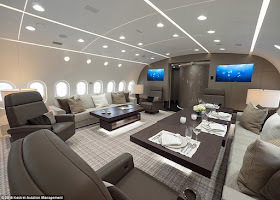 Home / Travel / Photos Of Inside The Dreamliner That Has Been Converted To A Luxurious Private Jet. 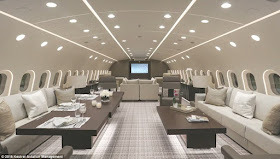 Photos Of Inside The Dreamliner That Has Been Converted To A Luxurious Private Jet. 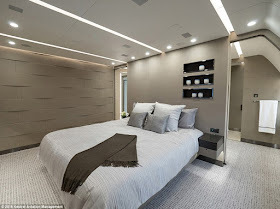 Among its laundry list of luxe amenities are a sound-proofed main guest area, spacious living room and entertainment suite, a full-sized master bedroom suite, master wash room with over-sized shower, electric dining and conference tables and 16 convertible day beds.